House flippers often prefer buying homes that are old and distressed because such properties are easy to acquire at fairly cheaper prices, such as foreclosures or short sales. Thus, they present higher chances for investors to make a higher profit from their sales. Depending on the circumstances in play, flippers can do the improvements independently or use contractors. Yes, flipping houses is legal. There are legal implications to flipping houses, but if you abide by these legalities, then you will be fine. If a successful house flip entails selling the property at a fair retail price and done according to your state's or county's laws, then there is nothing illegal about it. On the other hand, falsifying mortgage documents and issuing bribes to appraisers for a successful flip is illegal. The key legal risks of house flipping that you should be concerned about include FHA Re-selling restrictions, mortgage loan fraud, and title insurance. If you want to flip a house but you are worried about the legal implications, it’s advisable to consult with a real estate attorney in advance. When Did House Flipping Start? Just like it happens with many ideas conceived through the media, the concept of house flipping started to gain popularity on TV. Thirty years ago, house flipping was almost unheard of. However, a variety of house flipping shows, such as "Property Brothers," "Flip This House!" and "Flip or Flop," have made the concept very popular today. During the colonial times, very few people in society had the money, time and the drive to flip houses. Nevertheless, it's believed that flipping houses got its real start during the economic recession in the 1980s. The recession decreased stock market earnings and increased property foreclosures across the United States. In order to stay afloat, savvy real estate investors started buying foreclosures, renovating and reselling them at higher prices. With the help of the media, home flipping has rapidly gained traction and is now one of the most lucrative investments in real estate. Judging by the definition of house flipping, there is no doubt that it is a good idea with huge gains to both home buyers and sellers. To a real estate investor, house flipping is a quick way to make profits. House flipping also enables people that want to buy homes to get property without building from scratch. This is a cost-effective approach. Additionally, it contributes revenue through the taxes paid by investors. Overall, house flipping is undoubtedly a good idea as long as all procedures are kept within legal parameters. If things are not done right, house flipping can be a disastrous experience and can even make you lose money. Successful and profitable house flipping entails making informed investment decisions. Where to Start Flipping Houses? Considering the potential benefits of house flipping, you may be interested but still wondering how to get started. Perhaps, you are a seasoned real estate investor or a beginner thinking of making your first attempt at flipping houses. Well, you need proper understanding of the real estate market, your finances, and preparation to ensure a successful start. Conduct a proper assessment of your skill level by identifying the ideal location of your desired investment and types of feasible home improvements with the capital and knowledge that you have. You should also identify the type of property and extent of improvements that you can handle. In preparation for your entry into this kind of real estate investing, take time to research the houses available in your locality or the particular market you intend to venture into. If you want to flip houses in an area that is unfamiliar to you, get insights from homeowners and investors in the area beforehand. Conduct a thorough research on the taxes, fees and other regulations that apply to the specific real estate market that you want to get into. It’s also crucial to evaluate your finances with keen attention on cash flow. This will help you to put your budget in order and weigh your options in case you need a loan down the road. Bad credit does not usually affect you when borrowing fix and flip capital from hard money lenders. However, it never hurts to have good credit! In addition to these tips, starting a successful house flipping business requires a plan of what you want to accomplish, and an understanding of why you're pursuing this type of venture. You also need to consult real estate experts like RealEstateSkills.com, investors, contractors and real estate attorneys. To easily slide in, start with tasks that are within your capabilities and gain momentum from there. In real estate, the choice of the market where you invest has a greater bearing on profitability. Since most markets keep fluctuating, it’s crucial to stay updated on information about the markets in your area. This will enable you to make better decisions when flipping houses. Nevertheless, some of the best markets to flip real estate include El Paso, Texas, Louisiana, Virginia, South Dakota, Oklahoma, Tennessee, Indiana, New Jersey, Florida and Colorado. Generally, there are several factors that determine the suitability of a market for house flipping. However, savvy house flippers understand that markets or cities that are up and developing are the best. Cities with improving economies provide better opportunities for house flippers because of the higher probability of increased home buying and appreciation of the market. Even more, the best markets are located in areas with better access to affordable home renovation materials and labor. Do I Need a Real Estate License to Flip Houses? No, you do not need a real estate license to flip houses. It is absolutely not a mandatory requirement so do not let this hold you back from getting started! However, having a license definitely has it's benefits and can help you extract more value out of each deal. Such as, earning a buying or listing commission on the deals you flip. These commissions can easily add up to tens of thousands of dollars to your income each year. To acquire a real estate license, applicants must complete training in real estate as stipulated by their respective city. The aim of this training is to equip applicants with basic knowledge on financial and legal implications of the real estate industry. The main advantage of a real estate license is that it gives you direct access to multiple listing services & the ability to legally earn commissions. Get the right education from joining your local REIA (Real Estate Investors Association, a program like the Pro Wholesaler Membership by Real Estate Skills, or reading up on the subject. Submit lots of offers on properties. We typically see that it takes about 15 real estate offers to get one accepted by a seller. When making the offers, be sure to know the estimated expenses like the renovation costs, taxes, insurance, utilities, to name a few. Be sure to have an understanding of your ROI on the deal and the potential profit from the deal. Once your offer is accepted, you'll need to finalize financing if you're not handling the transaction with all cash. If your financing is facilitated by a lender, make sure that they meet your needs & requirements before you make any commitment. Additionally, give the lender all of the documents required. Follow this with an inspection of the house, settlement of the purchase, renovations, and finally listing the house for sale on the market. So, How Do I Start Flipping Houses? Watching a house flipping show on TV makes the process look quite easy and simple. However, getting started can be a challenge to both beginners and savvy real estate investors. In order to find a house to flip, choose the area or market to invest in. Check the statistics of the housing markets and the conditions of the suitable property for flipping. Also predict the overall costs of the project and potential earnings. You can find houses to flip by using the MLS, Craigslist, Paid Advertising, SEO, Direct Mail, Bandit Signs, Driving For Dollars, Joint Venturing, Networking, and other strategies. Analyzing the houses to flip is an important procedure that enables you to properly understand the various costs involved in buying a house and renovating it for sale. Here's what you need to consider help you analyze houses to flip. Since you will be buying houses and refurbishing them for resale, you need a substantial amount of money. In fact, getting started in the house flipping business can be very hectic without sufficient capital. Relying on lenders is one of the ways of obtaining money for flipping houses. Hard money loans are typically with terms of less than twelve months and interest rates of about 9% to 18%. Such loans usually come with a 1-4% origination fee of the total amount being borrowed. The amount of money you can borrow will depend on the value of the house after renovation, also known as ARV (After Repair Value). Private money loans are set with terms by you and the private money lender. Typically, the private money lender wants to be beating the interest rate of their saving's account. Common interest rates for private money loans are 7-12%. Conventional loans offered by banks as mortgages can also provide money for flipping houses. However, there are many bureaucracies attached to loans by traditional banks. For instance, houses in poor conditions are usually not eligible for mortgage financing. In both cases, lenders keep the first position lien on the property until the loan is repaid by the borrower. However, the flipper is entitled the rights to the house including the title. Just like other investments, flipping houses can be a huge risk if you do not understand the process of buying a property. It is recommended that you use "Other People's Money (OPM)" when starting to buy houses to flip. By using other people's money, you're able to use your own cash on hand to sustain your business while putting other's capital into your housing projects. Understanding the market is essential when purchasing a house to flip. Prepare a budget that shows your price range for buying a house and expected costs of all repairs and renovations as well as any other expenditures before re-sale. Try to invest in smart renovation projects that will boost the value of the house without digging deeper into the budget. To buy a house to flip without a lot of hassles, consider talking to a few local real estate experts for more insights on how to ensure success. Renovations are some of the key areas many house flippers spend huge sums of money on. The golden rule for renovating houses is to limit spending to improvements that add value to the property without elevating costs. Compare the available properties to determine the improvements that most houses share in the area in order to have it sell faster. Emphasize on creating a strong first impression with procedures like washing the siding, repainting the house, putting flowers around the entrances, fixing all the windows, and other exterior hardware. This is what we call "having great curb appeal." Pay attention to the bathrooms and kitchens. You don’t have to overspend on renovating kitchens and bathrooms. However, give them a new face with unique safety and family friendly features. Refurbish the house using neutral designs that appeal to a wide range of potential buyers. Although tastes vary from one individual to another, avoid imposing your own style on the house. You want your renovated house to be one that a majority of buyers want and not the minority. Watch the costs closely and keep in mind the fact that the costs of renovation projects should not be higher than the value of the property. To avoid overspending, identify specific areas that will be improved and the related costs then. Set up some contingency money to cover any overruns during renovation. Now that you have managed to successfully buy a house to flip and completed all necessary renovations, it’s time to put up the house for sale. Come up with a realistic price that will attract buyers, cover all your expenditures and allow you to receive a nice profit. Conduct a final assessment of the house to identify areas that were overlooked during renovations and make sure the property is ready for re-sale. Stage the house for viewing by furnishing the living areas, putting the furniture in their right spots and giving the interior decor little touches. Curb the overall appeal of the property by working on the landscape. When putting up a flipped house for sale, you should also remember to give a "wow" effect or add something that makes the property stand out amongst other renovated houses. This can be done with small improvements, such as adding a little splash of color into the kitchens, installing intricate modern tiles in the bathrooms, or even painting the front door a unique color like red or teal. Nevertheless, make sure that you will recoup the time and money spent on these improvements when you sell the house! Many people think that flipping houses is an easy undertaking, but the truth is that reaping the rewards requires a lot of effort. Much of this effort can be vividly be portrayed in the house flip before and after photos or videos. Documenting the conditions of the house before and after upgrades provides a background of the property to potential buyers. It also shows them the efforts and actual renovations done on the house. Whether they are in the form of photographs or videos, the house flip before and after media can give the flipper some leverage when negotiating price during the sale. The profitability of house flipping is a factor that every real estate investor always looks into before making an investment. While flipping houses presents opportunities for flippers to make money, profitability mainly depends on making sure that the renovations increase the value of the house by at least 100% of the overall expenditure on renovations. One of the secrets to achieving this is buying houses well below the market value. Another way to ensure profitability is through conducting renovations that are less costly, but that increase the demand for the house. Such renovations may include introducing new floor plans, rebuilding certain features, and installing additional bathrooms or bedrooms. Overall, flipping houses can be a lucrative venture if you understand the rules of the game. How Much Money Can You Make from Flipping Houses? Generally, flipping houses is a rewarding investment. However, the amount of money that a flipper can make varies from one opportunity to another. It is also dependent on a number of other factors. Extent of repairs: If it turns out that the house requires more repairs than previously budgeted for, profits are likely to decrease. Size of the remodel: Larger remodels usually give contractors a hard time coming up with estimates. This can also affect the profits. To make the most money flipping homes, focus on small remodels, conduct economic upgrades, and work with professional contractors. In the United States, the gross profit margin for flipped houses stands at about $29,342. However, flippers can still make more if they flip property retailing in the range of $100,000 to $200,000. On the other hand, the average house flipping salary also depends on the market or state. For example, according to Lend EDU in 2013, house flippers in Massachusetts pocketed an average gross profit of $103,384 per house while their counterparts in California earned $99,999 per house. The average house flipper salary had yet to be determined, but it can be extremely lucrative even if you are only doing one house flip every few months. Seasoned house flippers will tell you that flipping houses is an incredible real estate investment opportunity to consider. In order to make things work as per your expectations, be involved in all projects from the beginning to the end. Just like with other businesses, there are basics of starting a house flipping business that you must put in order beforehand. Before moving into the complex stuff, begin by understanding the market and your skill level, preparing a business plan and securing financing. Real estate license: It is not mandatory but, having a real estate license will open up more opportunities for success. With these requirements, you can move into buying houses, renovating and selling them for profit. How Do I Learn How to Flip Houses? In reality, flipping houses is not a walk in the park. There are obstacles that every flipper must carefully learn to navigate through to be successful. The best way to stay ahead of competitors is by acquiring accurate information. Thanks to the internet, you can now learn almost everything online. It’s not a must for a flipper to go through rigorous and lengthy training. However, it is important to have a basic understanding of the profession and market. You can learn how to flip by watching credible real estate TV shows, reading online publications, taking online house flipping classes and interacting with savvy house flippers. The short course offered when obtaining your real estate license will also provide useful insights into the industry. However, there is so much more that you will learn while doing the job. House flipping classes can be a great way to develop your knowledge in the trade. But, due to the constraints of time and money, you do not want to get into a program that will keep you occupied for several weeks or months. Instead opt for short, affordable and flexible online flipping classes offered by credible institutions. Conduct some research to identify the best house flipping classes that are aligned to your objectives and where to find them. Is Flipping Houses Worth It? After all is said and done, every flipper always wants to know whether the investment is worth before investing. If the projected house flipping salary is something to go by, flipping homes is indeed a worthy investment. However, always remember that success rates in the house flipping industry vary based on a number of factors. Therefore, it is advisable to first understand the risks before venturing into the business. Is Flipping Houses Profitable in 2019? Yes, despite the changes that occur in every industry, house flippers can still get more opportunities and make good money flipping homes. It mainly depends on how you view the market and acquire profitable real estate investment opportunities. Overall, house flipping offers huge potential for real estate investors to make money in 2019 and beyond. 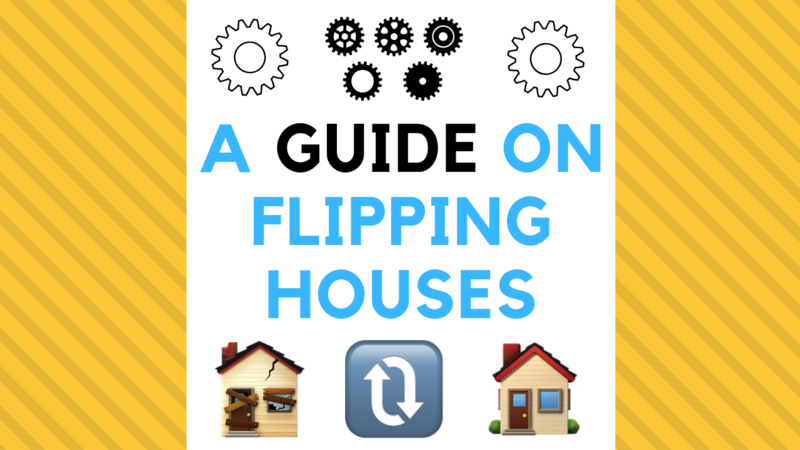 In a nutshell, successful flipping involves a lot of work. But, the most important thing is to always conduct research and make wise, timely moves.